~Eternal Snow~: Vocaloid Spotlight: Hatsune Miku - Melt. 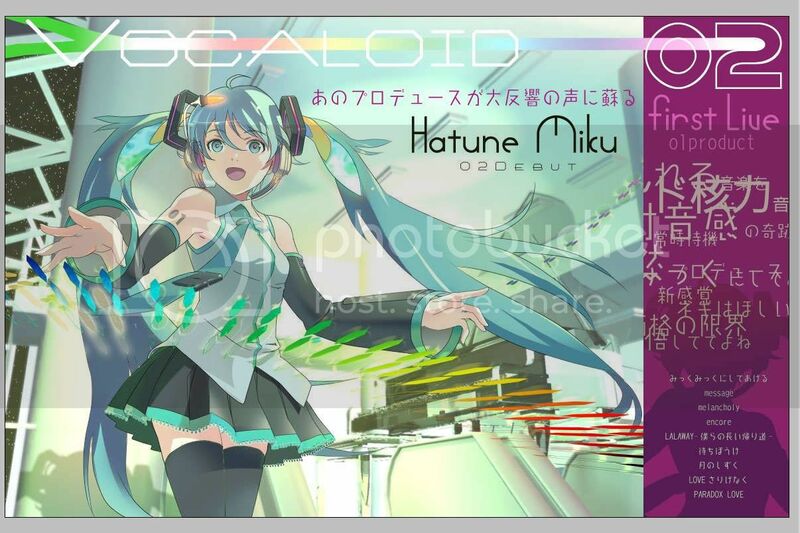 Vocaloid Spotlight: Hatsune Miku - Melt. A song which has been going strong on the Vocaloid Ranking Charts for the past few weeks, one which I don't think would deserve justice by not putting it on my blog. Not much to say about this song, catchy and energetic and just loving it. Hope you'll like it too. Been busy marathoning Gundam 00 ep 1-23 in two nights, and also trying to catch up on other stuff, so I'm too lazy to type out a proper post/ or lyrics to this song. Either way enjoy it ^^. End of March. Some Updates. News Highlights for the week. Vocaloid Spotlight: Kagamine Rin Series 1. Good Friday and a Special Day (to Me). 16/03/08 Loots + Evangelion 1.0 Movie. Vocaloid Spotlight: KAITO - Hitomi wo Tojite. Pre-orders / Purchases + Various Updates. Vocaloid Spotlight: Hatsune Miku - Sakura no Ame.